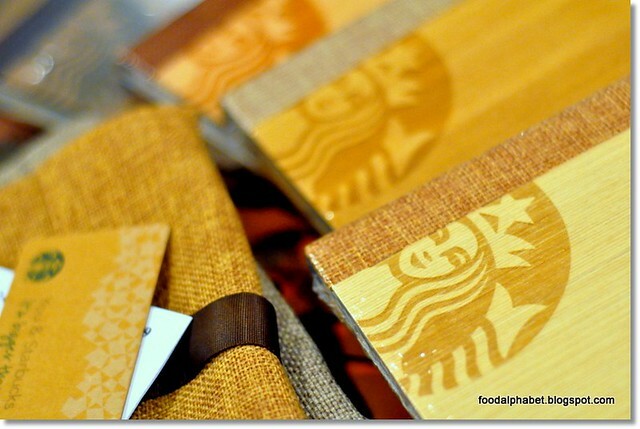 The Food Alphabet and More: Starbucks Planner 2012 is coming to town!!! The planner materials used and design reflect this year's Starbucks Shared Planet theme. Starbucks Shared Planet is Starbucks commitment to do what's best for us and to the planet. It stands by ethical sourcing (Forest Stewardship council certified), environmental stewardship (planner pages are made from 70% recycled paper) and community involvement (a donation to Spark Hope for every planner redeemed). 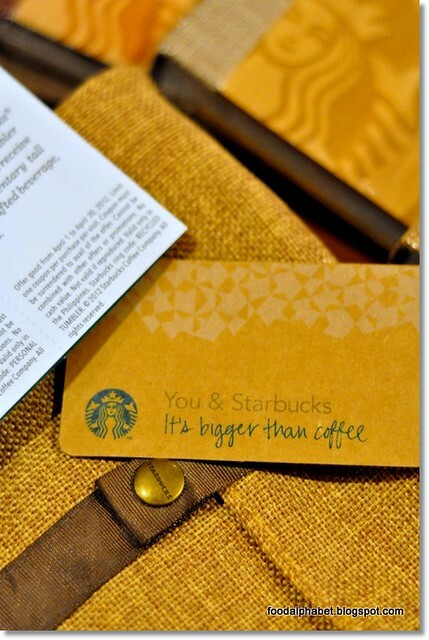 Each planner comes with a pouch (it has pockets inside which you can use to put in your gadgets and everything else that fits), a bookmark and nine (9) different coupons that can be redeemed at all Starbucks stores in the Philippines in 2012. Much love and heart is poured into designing in detail the new Starbucks planner, its wood bound cover, laser etched Starbucks logo and wordings make it one of the best planners that Starbucks has offered through the years. It's small size and light weight makes it easy to bring with you anywhere you may be. Inside, it now features a full month page, so you can plan and browse through the days of each month, giving you more productivity. 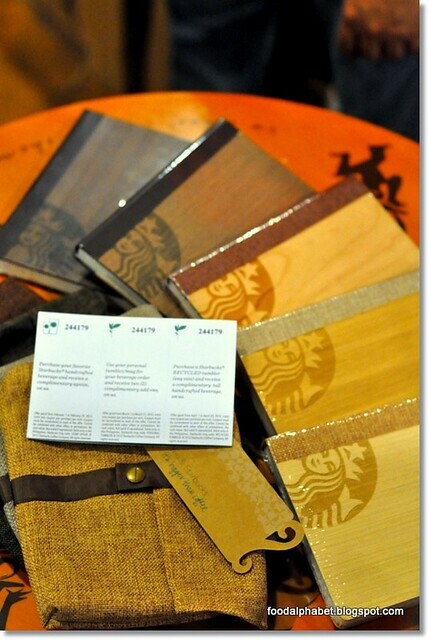 Now how to get your hands on these Limited Edition Starbucks Coffee Planners 2012 Edition. It's simple and I guess you know how already, if you have been a yearly collector. Well for those who will be availing of this for the first time, hear this out! A customer can avail of a Starbucks Christmas traditions planner promo card starting November 3, 2011 and collect stickers from November 3, 2011 to January 8, 2012. One sticker is awarded for each Starbucks beverage purchase. A customer now has two (2) options in collecting stickers to redeem one (1) Limited Edition Starbucks Coffee 2012 planner. 2nd Option : 23 core beverages except bottle drinks = 23 stickers. 3rd Option : Purchase P5,000 worth of Starbucks merchandise, get a free planner. 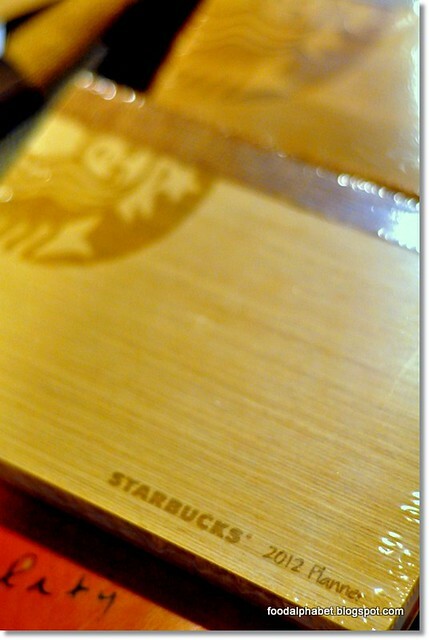 So in the tradition of Christmas at Starbucks, start collecting those stickers and get your Limited Edition Starbucks Coffee planner at your favorite Starbucks stores starting November 3, 2011. 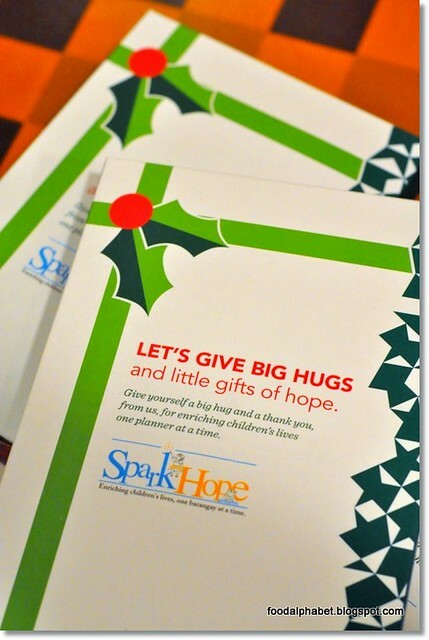 For every planner redeemed, Starbucks gives to Spark Hope a donation in partnership with UNICEF. Give hope to those who need it. Drink you Starbucks today. The high sugar contents of liquors also increase the risk of developing an infection.